Lisa Gibbs and Bernadette Hellard are sisters who have been involved in all aspects of netball in Australia for many years. They have played at A-grade level as well as coached and umpired. 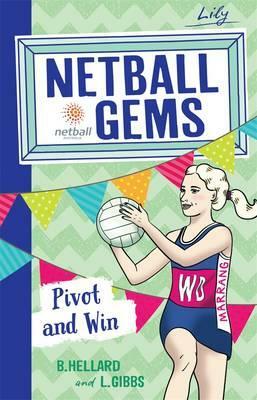 The Netball Gems series have been written in partnership with Netball Australia. Lisa is an academic specialising in child health and well-being. Bernadette is a primary teacher specialising in literacy and physical education. Today they are joining us to talk about the Netball Gems series and they have a few other tips for us on kids and fitness! 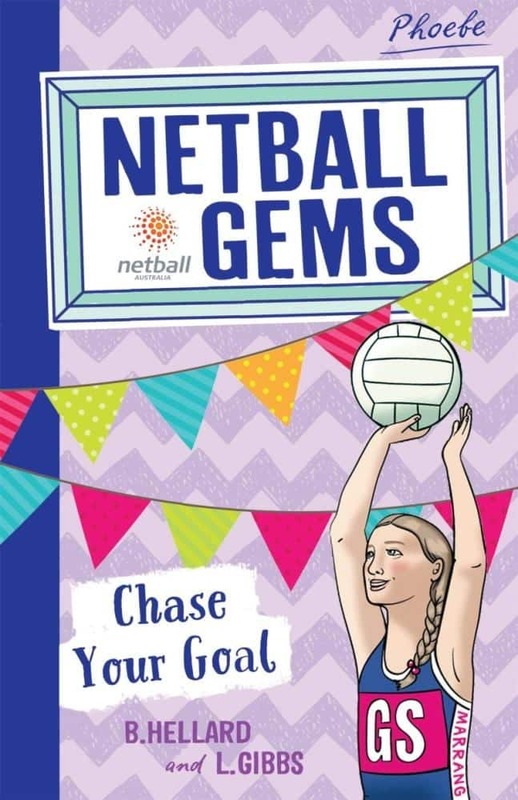 To add the Netball Gems books to your home, school or library collection click on title links or cover images. As far as I’m concerned, this series is just GOLD! I’ve been watching all the soccer and rugby books being published and thinking…come on, come on…where is netball?! And now we have it – thank you Random House! The books are beautifully packaged with bright and bubbly covers (sorry but we do all judge books by their covers!) and there is enough internal illustrations to keep even reluctant readers engaged. 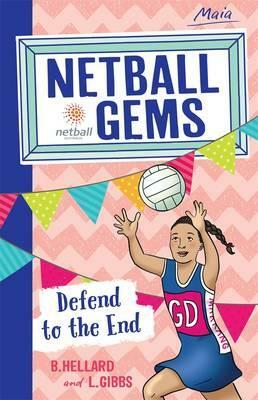 There are tips on playing netball at the conclusion of the book which is a nice touch and an added bonus for keen netballers. 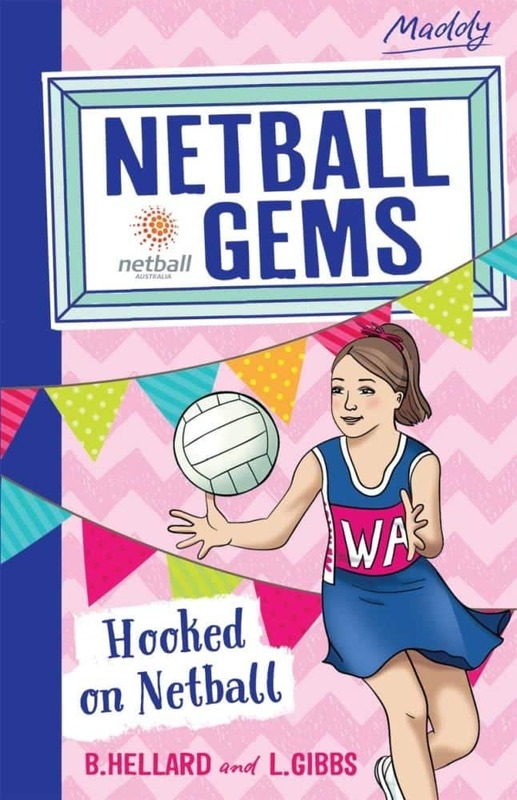 The characters are playing in an under 13 team and are around 12 years of age – but netball loving readers from 7+ will love the characters and the netball information and action. 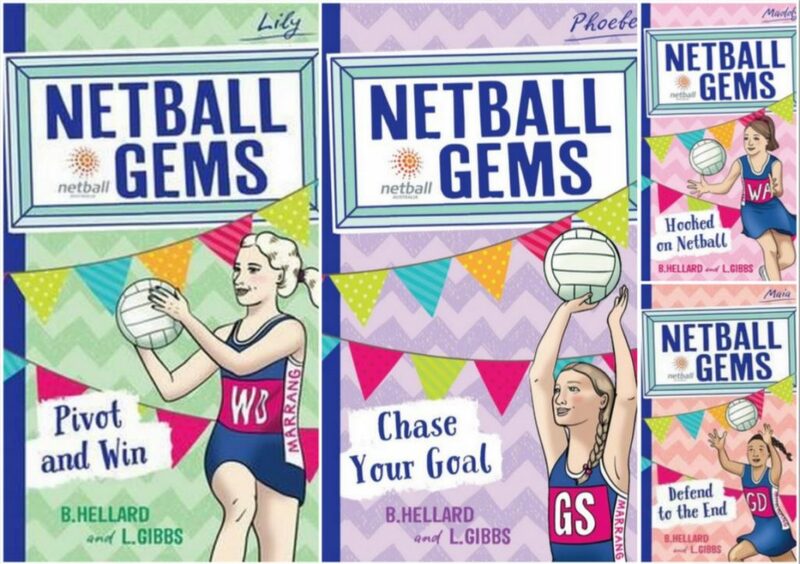 The Netball Gems is a series of 4 books about girls enjoying their first season of netball. They are the Under 13 Marrang team. In the series you follow the girls as they have fun playing netball. The first book, Hooked on Netball, focusses on Maddy and her funny friend Prani. Maddy loves playing in Wing Attack just like Australian player Maddi Robinson. The second book, Chase your goal, follows Phoebe as she shows Janet the Coach how good she is at goaling. Phoebe overcomes her shyness to become friends with Lily, Janet’s daughter. The third book, Pivot and Win is about Lily, as she masters the pivot in her game, and she and her brother play hilarious pranks on each other. In the final book, Maia joins the team and brings some New Zealand moves to the court and becomes best friends with Isabella. 2. 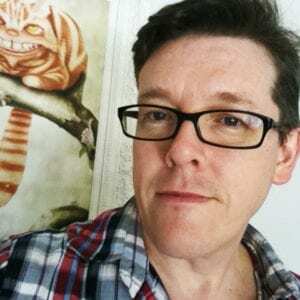 How did you get started as writers? Lisa had been writing publications for work and Bern had been dabbling with picture books but it was when we decided to write together that our fiction books took off. 3. What does a typical day of writing look like for you both? When we write together, Lisa stays at Bern’s house by the beach. We walk and talk on the beach to plan our writing for the day and then come back write different sections each. When we are finished our section we swap and edit each other’s work. Our whole day is a mix of walking, writing, talking and lots of laughing. We usually sit in an office upstairs at Bern’s place, looking over an inland lake with lots of water birds. Read, read, read, write, write, write. Sometimes before we start writing we go to a place that is going to be a big part of our book, like the netball courts, and sit and write what we see in random words and phrases. Then we work that into the story as important descriptions. It helps to make it real. We think the Harry Potter books are amazing and have read them many times! 7. If you were not creators of books for young people what would you be? We actually do have other jobs as well as our writing. 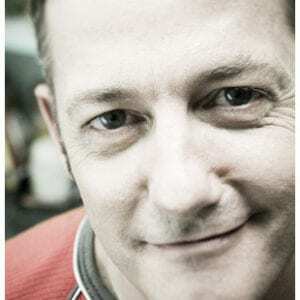 Bern is a primary school teacher who loves teaching sport and writing. Lisa works for a University and does research about how to help children to be healthy and happy. We always snack on fruit and nuts and listen to the waves when we are thinking. Lots! Especially the funny bits. The trick Lily plays on her brother is one Bern did to a friend! That all children have the opportunity to read, write and play sport … preferably netball! Tips for keeping kids active? Make it fun. Team sport is a great way to encourage kids to get involved with their friends. What do kids get from netball apart from fitness? Friendships, belonging, self-discipline, being part of a team, learning that you have to practice to get better, and learning to win and lose graciously. 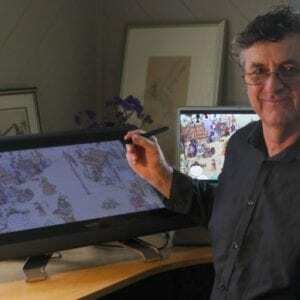 Things kids can practise at home when they don’t have much space? Tossing the ball from one hand to the other repeatedly helps to build quick reflexes and confident handling of the ball. Running up and down the hallway using the pivot to change direction helps to build your footwork skills. Throwing a ball against a brick wall helps to improve passing and catching. Jumping up side-on to the wall, using a piece of chalk to mark how high you get, improves jumping skills. And best of all, these are fun things to do!